In-store price $2. Offer ends 30/9/19. 1 per customer. 3-in-1 SIM: the only SIM you'll need for your mobile broadband device. The beauty of our Prepaid mobile broadband plans are that they allow you to use your mobile device how you like, when you like, without resulting in nasty surprise bills at the end of the month. Our Prepaid mobile broadband plans have no lock-in contracts or cancellation fees, so you're free to move plans at any time. Our Prepaid mobile broadband devices set you free. You're in control. There are plenty of easy ways to recharge your Prepaid mobile broadband service. All for use in Australia. Fair Go Policy applies. ^ Data is counted in 1KB increments. Included Data: Activate within 30 days of purchase or by the date advertised on a promotion. For information on available plans and pricing, see optus.com.au/prepaidmbb. 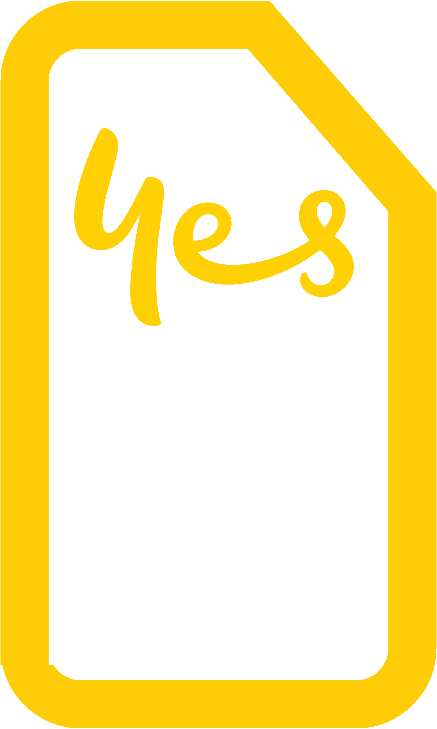 OPTUS PREPAID MOBILE BROADBANDFor use in Australia within 30 days. Data Rollover: Up to 50GB when you recharge before expiry. If you accrue over 50GB you will forfeit any data over that limit. Activation: Service activation requires your new Optus Prepaid SIM and credit card or a valid form of identification to allow us to verify your identity. 4G Coverage: The Optus 4G Plus network is available in all capital cities and hundreds of metro, regional and holiday towns with a compatible device and plan. Coverage varies by device. Check at optus.com.au/coverage. Speed: Many factors affect Mobile Broadband speeds including volume of internet traffic, your equipment, location, software and source of your download.